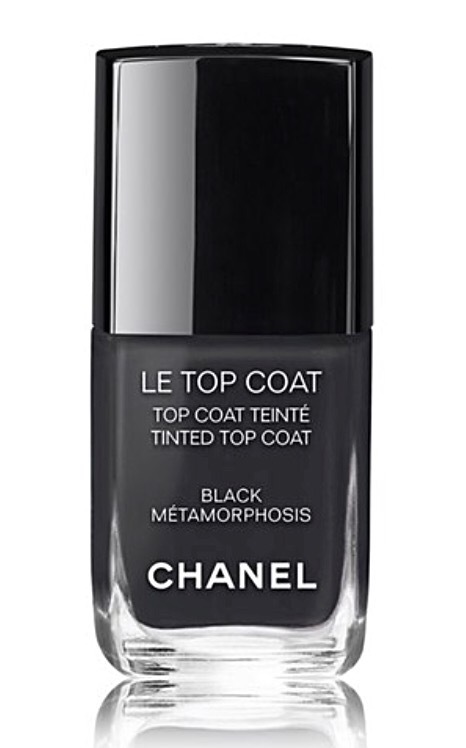 We have been waiting for this Chanel tinted top coat to drop for months!! Finally this belle beauty must-have has arrived…but not for long, so hurry!! 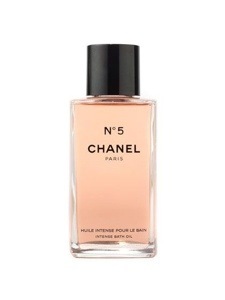 This takes your existing polish color to another level…deeper richer, Chanel-er !! Get it now at Nordstrom !! Hola belles! Need a cool refreshment….? The website y’all need to know about to get the real scoop. We love livin’ on the fringe. We think very belle needs at least one of these! We have burgers on the brain…you will too after you take a gander here, here and here! If you need a great recipe for pimiento cheese, may we humbly suggest one from a previous post…click here…from guru of all things southern, James Farmer? For a radiant summer glow…try this. And there you have the belle-ringers of the week! Ring-a-ling! 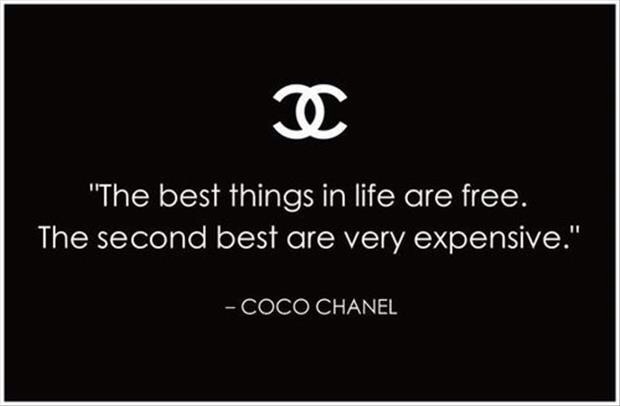 Belles love the best…and love a bargain…but second best and expensive will do in a pinch. Just sayin’. We love a good beauty product, but there are only a few that keep us coming back time after time…racing to replace. Well belles, this one is a keeper!! 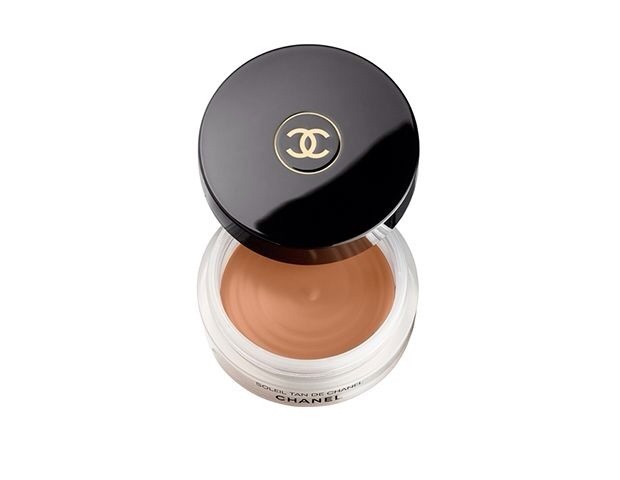 Chanel Soleil Tan. It is the reason for our healthy glow…our daily dose of sunshine without fearing age spots and sunburns. Now, we will put out a little disclaimer. 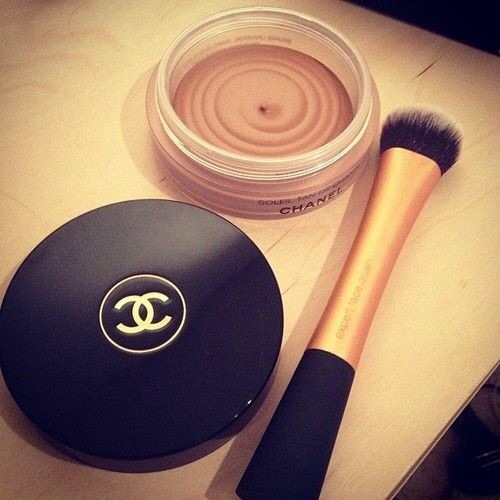 It should be applied with a foundation brush and one should just start out with a tee tiny bit. Otherwise, you will feel like Cher in the 70’s! Even so, you might panic at first swipe, but stay steady and trust us. Start right below the cheekbones and keep blending out with the brush…blend, blend, blend (seriously…it doesn’t take long) and then brush over your forehead, nose and chin (just a touch). It blends like a dream and has staying power, and (most importantly) the ability to make you look luminous, healthy, and flawless. It’s a wee bit pricey at $48.00, but well worth it…and it lasts forever (well at least 9-12 months). Another perk…this bronzer is a creme-powder version so it gives us a glow that straight powder just can’t deliver…no matter how hard the poor dear tries. Some of us are old enough to need a lil dewy glow…not shine…glow…just sayin’. It’s available at Nordstrom, so get clickin’. In this instance, y’all have our permission to get a little “spendy”. We can all pretend we have been to the islands, basking in the warm sunshine…ahhhhh! Go on and get your glow on!! little tastes of the luxe life…belle gift ideas to…die…for! We know…you have just barely had time to clear the jack-o-lanterns and fake spider webs from the front stoop and are already feeling the Christmas rush settling in. Happens to the best of us, belles. But never fear…we have some gift ideas to share over the next few weeks that should help take care of even the trickiest recipient! To get us started…how about something special for that discerning, somewhat difficult-to-buy-for person on your “list”? We have found some rather special little über-designer items that give a taste of the luxe life without breaking the bank…holla! 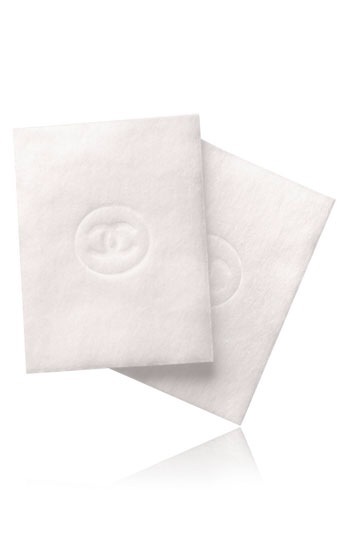 What belle wouldn’t love Chanel Le Coton cotton squares…a luxe way to remove makeup after a long day? 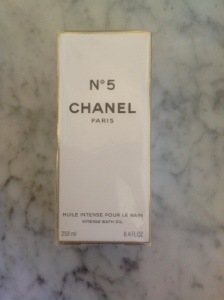 Of course…Chanel can even make a plastic bottle of bath foam look über-chic! 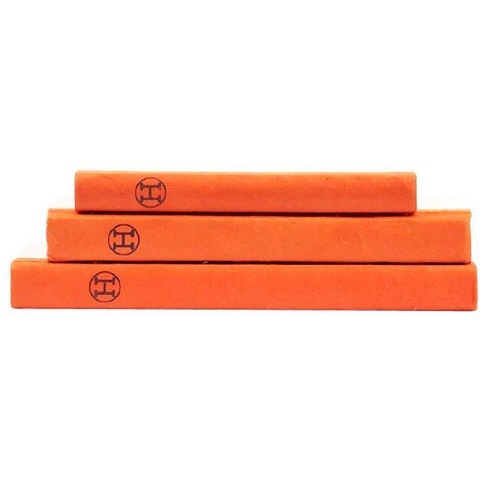 You won’t even need to (or want to) wrap that iconic orange box!! 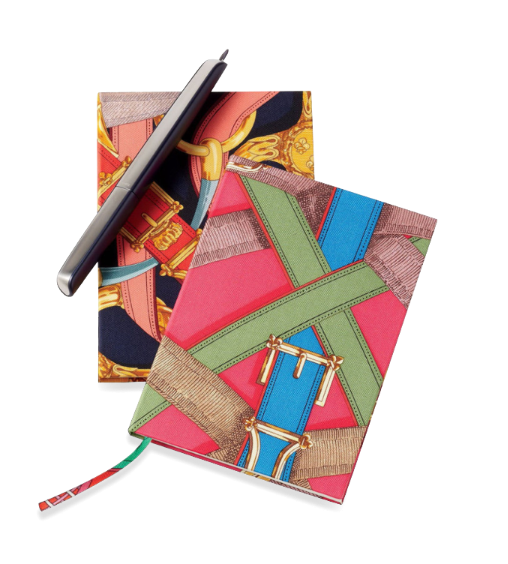 …and how about these notebooks covered in silk twill…shown here in the Cavalcadour and Brazil motifs? 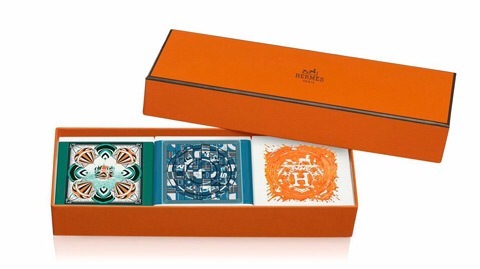 Now THAT’S jottin’ things down in Hermès style! So there you have it, belles…we’ve gotten you started on your quest for that special little something. We will be back with more ideas soon…because that’s what belles do!! Ladies, we are here to tell you that we have also jumped on the oil bandwagon. Face oil, body oil, hair oil, cleansing oil, moisturizing oil, bath oil, body oil. They clean, plump, soften, blur, de puff, de-wrinkle, shine, silken and perform and infinite number of miracles. Now we are doing a little experimenting to see how we like them in real life. We will be sure to let you know what we think soon enough. Yes, we are judgy. No, we don’t think that’s a word, but we like it and use it ALL the time. We dipped our toes in the oil vat fairly timidly, starting with bath and shower oil. Two winners!! One most luxurious, and the other luxe for less. The packaging alone made us a little weak in the knees. Duh. And then there’s inside the box. We have fallen head over heels and we haven’t even opened the bottle yet!! Okay, we admit , we have a weakness for great packaging. But when you do open this little treasure , the innards won’t disappoint. Just a capful, and the ylang ylang and almond leaves will take your bath to another level, leaving your skin soft and supple. Your soul won’t suffer any from the soak either. 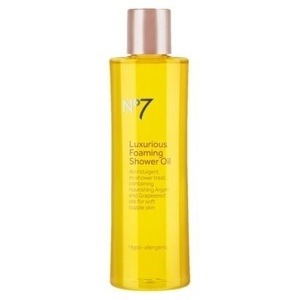 Now even though this is labeled a shower oil, we tried it in the bath with much success. It has a very expensive scent, delivers a silky feel to your skin and leaves you feeling like you treated yourself. 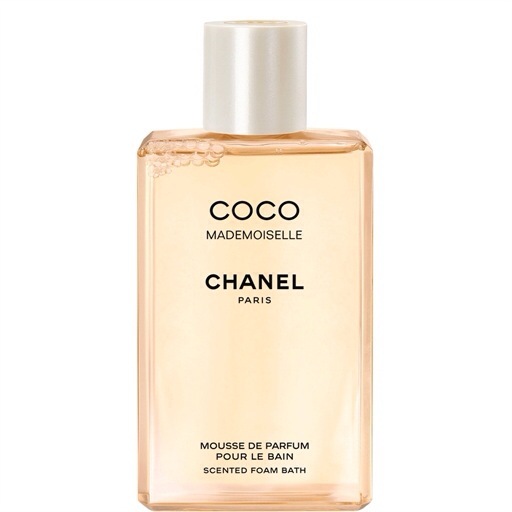 Oh, and if y’all wanted to recycle that chanel bottle (although it does last a long time) and pour another bath oil in there, we would be most impressed with your efforts to reduce your carbon footprint…all while keeping your vanity / bathroom looking tres chic. Multitasking belles at their best (skin care, belle time, home decor and being ” green”) !!! So go on and treat yourselves to a little luxury downtime. Y’all deserve it.